Forum Hosting vs. Forum Software: Which is Right for You? If you wanted to create an online forum ten years ago, buying software was your only choice. Once you decided which software to purchase, you had to install, configure and maintain that software in order to keep your forum running. Many forums are still operated this way. It's only recently - in the last five years or so - that a second option has come to the table. Businesses and individuals can hire a dedicated service provider that hosts and maintains the forum on their behalf. The client is the administrator and owner of the forum - but the nuts and bolts are left to the service provider. This is a natural outcome of the cloud computing, outsourcing, task-delegating age. People and businesses want more time to build and grow, which means they need an interface that works hard for them - not the other way around. If you're thinking about creating a discussion forum, you have an important decision to make: Forum software or forum service provider? Neither solution is right for everyone; there are highly functional options on both sides. By understanding what each solution can offer, you can make an informed decision and get on with the process of building your forum. Realistically speaking, setting up a forum with dedicated software is more strenuous. While procedures vary depending on the software you choose, the following steps are generally involved: 1) Create MySQL database on your server, 2) Unpack and upload the software files onto your server as instructed, using either panel or an FTP software, 3) Run the installer that comes with the software, and 4) Visit a link (often provided in the software documentation) and follow on-screen instructions to complete setup. Forum hosting providers like Website Toolbox differentiate ourselves by handling the setup for you. There are no databases to create, files to unpack, or complicated instructions to follow. You insert a link to the forum on your website, or paste a brief embed code in the appropriate location, and the rest is relatively simple. You're able to use their own domain name, shape the visual design of the forum to match your existing website, and quickly change design elements to achieve that perfect look. For sites that already have signup or log in functions, a hosting provider allows easy integration, eliminating the need for multiple signups or logins. The setup is also mobile-friendly out of the box - accessible to the growing number of users who access forums via mobile device. The ever-changing nature of the web, along with the devices we use to access it, have forced discussion forums to evolve. As a result, the software designed to host and maintain forums has become increasingly complex. Options and features have multiplied, leaving administrators with huge control panels and hundreds of options to configure. From the developer's perspective, changing or simplifying those options isn't as easy as it sounds. Since clients who use the software have invested considerable efforts in mastering it, significant changes might alienate the existing user base. The result is layer upon layer of options and add-ons. After much trial and error, many admins are able to master the software they have installed. Some even prefer this level of complexity for the detailed control it allows. In this respect, dedicated software is the Microsoft of the forum hosting world. By way of comparison, Website Toolbox is more like Apple. 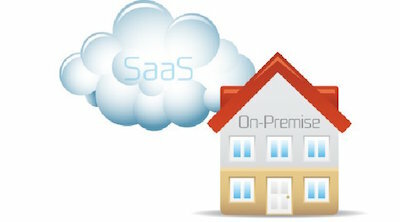 The same complex features are delivered through a streamlined, cloud-based interface. The ultimate goal is to provide a simplified and modern solution to the challenge of hosting a forum. The real question is how involved you want to be (or not be) in certain aspects of configuring and maintaining your forum. Those who like drilling deep into complex administrative options might prefer the software approach, while those who want the necessary features in a user-friendly interface will opt for a forum hosting provider. Like any aspect of computing, discussion forums need regular updates and maintenance. The nature of this maintenance is another key difference between forum softwares and hosting providers. When your forum is powered by dedicated software, keeping it well-maintained and up-to-date involves manually installing updates and patches released by the publisher of the software. So far, so good. This is a routine part of running third-party applications. But when a forum is active, it's vitally important to install updates promptly, no matter how often they come out. If you forget to install an update, or find yourself unable to do it right away, your forum becomes vulnerable to stability and security issues. This situation is far from ideal, especially when hundreds or thousands of people are actively using the forum. Forum hosting providers take this responsibility away from forum administrators by updating software automatically, several times per week. Since users are not running the software independently, they have no need to be notified of routine maintenance. As part of its basic service, the hosting provider makes sure the system is current, stable and secure at all times. The goal of any discussion forum is more traffic and more users. Growth occurs over time, but can also come rapidly when a viral effect causes the number of users to surge. In either case, the servers and database on which the forum runs are placed under greater levels of stress. Overloaded servers can render the site inoperable until the problem is resolved, while a database crash can lead to serious data corruption and even the loss of all content. As the forum grows, monitoring and maintaining the servers becomes a time-consuming necessity. Owners of successful forums who run software on their own servers should be prepared to wear the network engineer hat. Significant amounts of time will be spent managing the load on the servers and database, and taking measures to prevent a crash. This may be less of a problem if the software is running on a server owned by a web hosting provider - however, the forum is still liable to service interruptions on that server. Website Toolbox solves this problem by hosting your forum (and all of its data) on a global network of cloud-hosted servers. Data is replicated in real-time, sent to geo-redundant databases, and backed up fully every 24 hours. This system allows us to handle upwards of 150 million page views per month, across thousands of forums, with no service interruptions or loss of data. Forum owners who prefer their own software should be prepared for a considerable up-front investment. Forum software is expensive, and the viability of this investment depends on a number of things: Forum success, reliability of servers and databases, and ability to administrate the forum effectively. If the forum doesn't take off, or if the servers and databases can't handle the job, or if administrative tasks prove too onerous, the investment will not be viable. If everything does function well, major updates and new versions of the software will add further expenses to the equation. Despite these factors, some forum owners feel that owning software is a more cost-effective solution, akin to buying a home instead of renting. When all the costs are carefully considered, it can't be denied that forum hosting providers are a legitimate alternative. They're also a good way to get a forum started, build interest and test the water. The monthly cost is extremely low ($10 per month, in Website Toolbox's case), so the owner's startup costs are all but eliminated. Brand new forums have access to the same robust infrastructure as popular, established forums. More resources can go straight into promoting the forum and gaining a usership. For many people, forum hosting providers aren't just a good way to get things going - they're a powerful long-term solution. But what happens if the owner decides, for one reason or another, to use dedicated software or move the forum to a different hosting provider? Any good hosting provider will offer integrated export features, allowing the owner to export all forum data to another server or hosting provider with just a few clicks. The question is this: Does running your own software average out to more than $10 per month? When time and manpower are figured in, it seems unlikely that "owning" is truly the cheaper solution. Features such as integrated instant messenger and live chat rooms are important today. Users want a modern, interactive experience with as much real-time activity as possible. Yet, for some reason, these features are generally unavailable in forum software, and rarely offered by forum hosting providers. Website Toolbox is the only hosting provider to offer these features automatically as part of its service. Hosting providers usually have a range of plans and prices, with different features available for different prices. For the most part, basic plans will come standard with a wide range of basic and advanced features. Checking the product and pricing pages of different hosting providers will give you a better idea of what features to expect at what price level. No matter how simplified the software or interface may be, owning a forum can be a formidable task. Often there are questions about integrating the forum into an existing website layout or signup system. You may want to change a certain setting but haven't been able to find it. You may need practical advice on how to grow your forum, how to resolve disputes, or any number of other issues that can and will arise. In other words, knowing your support options is critical. Many software companies do offer support to their users. The only problem is, this support is often for a finite period of time after purchase, and is limited to technical issues involving the software. Many forum hosting providers are in the same boat, offering only limited email support to clients. Website Toolbox is an exception here, placing a great deal of emphasis on support. We offer support 17 hours per day (chat, phone and email) to assist clients with setup, configuration, administration, strategy, and any other forum-related issue. Some administrators simply don't need much support, and are happy to go about most tasks on their own. Others prefer to have an expert within reach at all times. When comparing dedicated software to forum hosting providers, various patterns become clear. Software is a more autonomous approach to forum hosting. Areas like setup, maintenance and configuration require more time and effort. Administrators need to master large, complicated configuration panels in order to run the forum effectively (although some may prefer this). The scalability and reliability of the forum will depend on the strength of the server and databases involved. If the infrastructure is inadequate, large amounts of traffic could be problematic to the forum. Forum hosting providers take much of the "grunt work" out of hosting a forum, while leaving owners with a suite of options and features that is nonetheless effective. Potential problems of scalability and reliability are eliminated through cloud computing and data redundancy - and with questions of setup, maintenance and configuration largely out of the way, users can get down to business very quickly. In short, forum hosting providers represent a more "hands-off" approach to certain aspects of hosting. Some forum owners may find that hosting providers do not offer enough control over various features and options. However, an objective look reveals all of the same features available on both platforms. It's up to you to draw your own conclusions. Many companies and individuals agree that forum hosting providers represent the speed, support and functionality we've come to expect in other areas of information technology. On the other hand, some prefer the autonomy and responsibility of installing and operating dedicated software. Whichever path you choose, we hope you've found this comparison useful! Please know that we're here to help, and feel free to get in touch with any questions or comments you may have. Ready to take the next step? Create a forum with Website Toolbox now. You'll be up and running in minutes, with powerful features and an expert support team dedicated to your success.